With everything that happened last year, you might have missed this tiny nugget of information: Delicious is no more. The company that coined the term ‘social bookmarking’, back in 2003. Delicious – by some still known as Del.icio.us – has discontinued its services last summer. Hailed as the promising new kid on the Web 2.0 block, this might come as a surprise. Delicious once boasted millions of active users and the promise of being as successful as Facebook or Twitter. Venture capital acquired ownership. Yahoo came along and bought the company in 2005, but apparently didn’t know what to make of its core business. They sold it in 2011 to the founders of Youtube, but three years later even they threw in the towel. Some two owners later it’s over for social bookmarking. Or is it? When you closely look at the service Delicious offered, you see that some of its key components have really taken off. Twitter and Facebook still thrive on links and comments about websites or articles your friends or followers find interesting. Pinterest, StumbleUpon, Instagram do the same, safely locking the user in their format with more or less emphasis on images or news articles. For new information, we mostly rely on Google. While searching – often for something we’ve found before – related sites might catch our eye. Google, with its limited understanding of what we are really looking for, introduces a bit of serendipity into our lives. Or distraction. 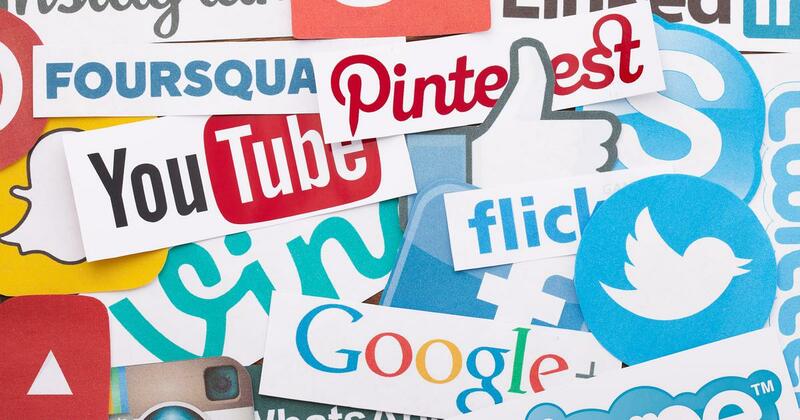 Google, Facebook, Twitter: all of these sites are free, yet they come at a price. Google’s search engine might know more about us than our spouses or children. Facebook and Twitter got us addicted to information. And the information we get becomes increasingly biased. We are social beings, we hunger for reliable information and new impulses. It’s just that Delicious, this one single social bookmarking website where we gathered and shared our information has fractured over so many devices, screens, and programs. The way information comes to us has become a lot more chaotic. While some of us are totally fine with this state of affairs, most still long for some order in the chaos. They want a place to gather, organize and browse the valuable information they’ve discovered. A place of peace and quiet in an ever-changing sea of information. But they also want to be able to quickly retrieve a link, a document, a recipe even to recommend it to a friend or colleague. Enter the second wave of social bookmarking sites. With the advance of cheap Cloud Servers and new internet standards like HTML5, advanced CSS and other server-side programming languages like Ruby on Rails, it no longer takes a small fortune to start your own company. API’s and plugins give the possibility to integrate many sources of information into one central hub. Today it mostly takes effort, some technical knowledge and a lot of passion to build a new social bookmarking site. And there are a lot of them. This second generation of social bookmarking sites no longer follows by the playbook of venture capitalits and big companies. They are user-centric and truly offer a home away from home: a start page you can freely change or organize to make it reflect your take on what’s important and relevant. And a place you like to bring others to, to share information and to get inspired. The heart of any bookmarking site remains the collection of links worth remembering. These bookmarks might be searchable, displayed with or without icons or favicons, simply listed or annotated with metadata, may be commented upon or shared directly. But the second wave of social bookmarking services makes it more personal and adds productivity features. Some bookmark managers provide an automated check of the viability of the link (e.g. a broken link checker). Such checks help to keep bookmark collections current and prevent loss of valuable information. Others have the possibility to suggest sites similar to the ones you’ve bookmarked. Or they might offer background information about your favorite links. Many bookmark managers also have the possibility to tag bookmarks in order to categorize links and find them quickly. Rating systems are a common feature too and perform a similar function, helping to filter extensive collections. 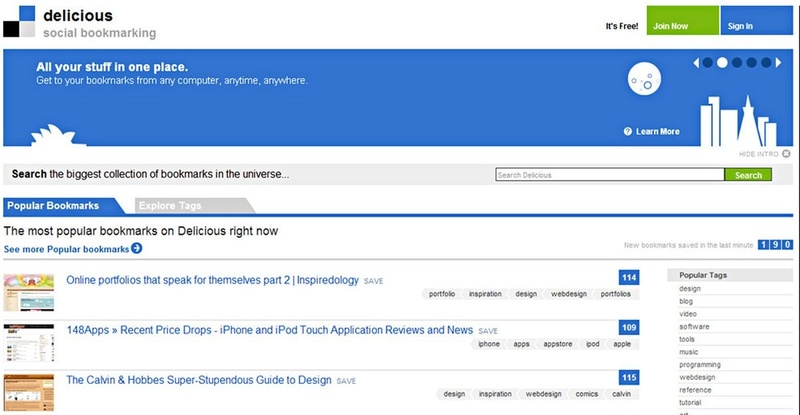 And finally, a bookmark manager will help you get started when you open your browser. It will help you focus and not get lost in the abyss of trivialities Google often proves to be. You know why you go to your bookmarking start page: it’s where you will quickly find what you need. 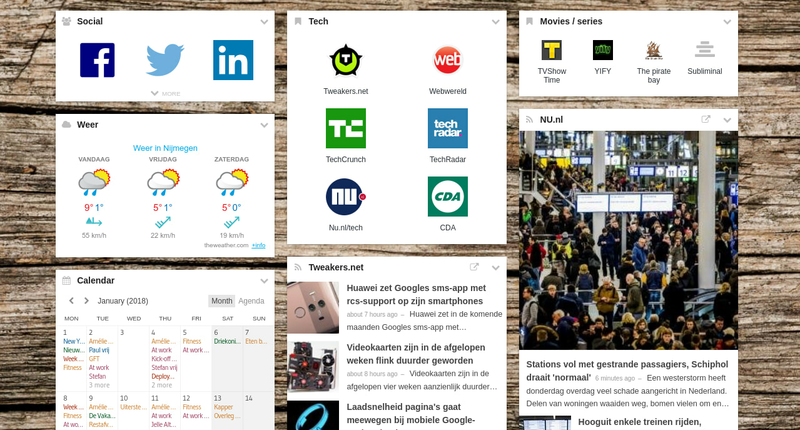 Besides bookmarks, a modern-day bookmark manager commonly offers interesting extras and customization options. Integration of RSS-feeds to import links from other blogs and news channels, for example. Or integrations with Facebook and Twitter, to get include social content in your collection. Extras that help you spice up your bookmark collections typically include widgets. Widgets to display personal pictures or get the latest weather information. Or widgets to integrate various sources of information like graphs or spreadsheets to create dashboards. And you might even embed websites, so you won’t have to click away in order to glance at it. Customization is a primary characteristic of modern day social bookmarking services. These options let you choose your style. You can change the background, the theme and tweak various display settings. These are logical additions, as bookmarks are something deeply personal, directly related to a person’s lifestyle and preferences. These design-oriented features are not just gimmicks. They actually help to make bookmarking tools more effective. Structuring related links in attractive sections, pages or blocks doesn’t just look nice and tidy, it helps in quick retrieval. Humans are visual creatures, which is why the look and feel of social bookmarking tools are so important. Visual queues help us remember where to find the information we need. Since Delicious didn’t manage to move the masses, modern-day bookmark managers usually focus elsewhere. Their business model doesn’t just rely on advertising or affiliate income streams. They’ve discovered that people are willing to pay for a product if it delights the user. If it really makes life easier. There appears to be a valued niche for a subscription model bookmark manager. Some even forgo the option to freely experiment with their solution, but most bookmark managers have chosen the freemium-model, where both advertising and affiliate income can be disabled upon a monthly, yearly or even a lifetime fee.